Gavdos (Greek: Γαύδος, [ˈɣavðos]) is the southernmost Greek island, located to the south of its much bigger neighbour, Crete, of which it is administratively a part, in the peripheral unit of Chania. It forms a community with surrounding islets and was part of the former Selino Province. It is the southernmost point of Europe. Gavdos has been known by a wide variety of names. For example, it appears in the biblical account of Paul's journey to Rome as "Cauda" (Καῦδα). The island was also referred to as "Cauda" by Roman geographer Pomponius Mela, and as "Gaudos" by Pliny. Ptolemy called Gavdos "Claudos" (Κλαῦδος). The Venetians called it "Gotzo", perhaps in imitation of the Maltese island "Gozo". 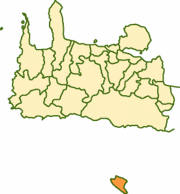 From the 17th to the 19th centuries, the island was known as "Gondzo". A Turkish name of Godzo was "Bougadoz". 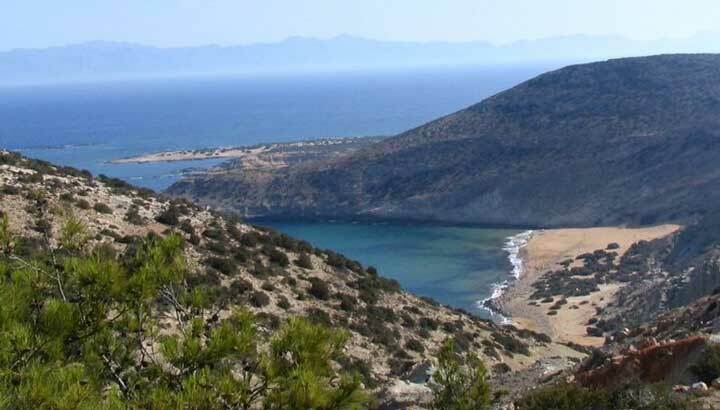 The island is 26 nautical miles (48 km) south of Hora Sfakion and is 33.025 km² in area. The island is roughly triangular in shape. Its highest point is Mount Vardia, 345m. The southeastern corner is a rocky peninsula with a natural arch carved by the elements, called Trypiti. A sculpture of an oversized chair sits on top of Trypiti. 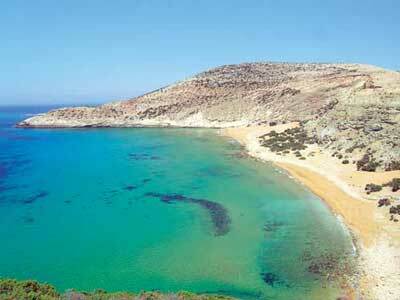 There is an islet called Gavdopoula (Γαυδοπούλα, "little Gavdos") to the north west of Gavdos. Gavdos and Gavdopoula are covered with phrygana (φρύγανα), low-lying shrubs. Both are important stops for migrating birds. Local birds include the Eurasian Scops owl and the European Shag. Gavdos also has a variety of other vegetation, such as maquis as well as forests of pines and junipers. There are only a small number of year-round residents of Gavdos and services for tourists are basic. As of 2001, the total population of Gavdos was measured as 98 people. In reality, fewer than 50 people live permanently on the island, and during the census period (2 days) 98 people were on the island. In the summer the total people on the island can reach over 3,500, most of whom are campers. The harbour for ferries is Karave (also rendered as Carave, and Karabe). 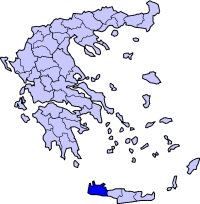 The island's capital is Kastri. The most southern populated village is Vatsiana, with a total permanent population of 23 people. Gavdos has supported a permanent population since Neolithic times. However, the island currently has very few permanent residents. Gavdos has been identified as a possible site of the mythical Ogygia where Kalypso held Odysseus prisoner. Archaeological evidence showed that the Roman empire was active on the island. During this time the flora of the island was overexploited, this started a process of erosion which has continued to this very day. Gavdos had approximately 8,000 inhabitants by 900 CE. During the Ottoman Empire's reign on the island, which lasted from 1665 until 1895, Gavdos was known as Gondzo. During this period the population decreased considerably to only 500 by 1882. A reference to Saracens on the island survives: the beach Sarakiniko ("of the Saracens"). In the 1930s the island was used as a place of exile of communists; more than 250 people were exiled including leading figures of the Greek movement, such as Markos Vafiadis. During World War II, allied forces evacuated some forces to Gavdos following the German victory in the battle of Crete. Later on, the general phase of urbanization that started in other parts of Greece in the 1960s, took place in the 1950s on Gavdos. During that period the islanders exchanged their land on Gavdos with ex-Turkish land on Crete, which had now become exchangeable via the state. 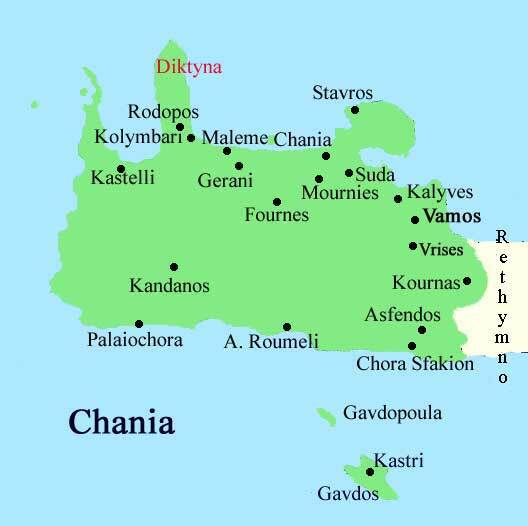 Upon settling in Crete they created a community known as Gavdiotika, which is part of the town of Paleochora. There are many abandoned terraces on Gavdos where farmers used to grow crops on the hillsides. There still is some agriculture on Gavdos. During the summer, the population of the island swells to a few thousand because of tourists, although there are few facilities for tourists. There is one year-round cafe in Carave (Karabe) on Gavdos run by Evangelina Tsigonakis. There is a modern non-functioning reproduction lighthouse tower on Gavdos which now serves as a cafe during the summer season; the complex also contains a museum on the history of the original lighthouse with several rooms of photos and antique equipment. Gavdos is home to an FM radio station, Gavdosfm 88.8. Following years of isolation, in 1996 the island came to media prominence. In a NATO exercise Gavdos was the focal point of a confrontation between Greece and Turkey. Following that, Prime Minister Costas Simitis visited Gavdos and announced a five-year, €1.5 million plan for the island's development. In 2001, Costis Stephanopoulos, the Greek President, inaugurated a telemedicine centre on Gavdos, an island which has not had a full-time doctor in recent memory. This effort, however, was marred as the island's infrastructure could not provide the necessary power required by the centre. For the purposes of the inauguration, generators were brought in, which were then removed. However, according to a 2008 BBC News report the island now features stable electrical power, and young medical graduates can serve for six months on Gavdos in lieu of compulsory military service. But visitors to Gavdos in June 2008 found that the power station was not functioning and that businesses were relying on gas generators operated for a few hours per night; locals stated that the power station worked initially, but no longer serves the entire island reliably. In 2002, the island was in the news again, due to the arrests of members of the extremist Marxist group November 17. The leader of this organization had been living openly for several years on Gavdos as a beekeeper. Gavdos is featured in James Aldridge's 1944 novel The Sea Eagle, which tells the story of the escape of a Greek partisan and two Australian soldiers after the Battle of Crete. The three join an expedition to liberate some Cretan fishermen from a Metaxas-era prison on the eastern end of the island. The attack on the cliffs of Khavro Spahti Bay is described in Chapters 24-28. ^ European populations of migratory birds, Natural History Museum of Crete of the University of Crete, Flora and Fauna on Gavdos, Gavdos Online Service, March 1, 2008. ^ "Nazis Pound Crete Allies". Los Angeles Times. June 1, 1941. Retrieved 2007-09-27. 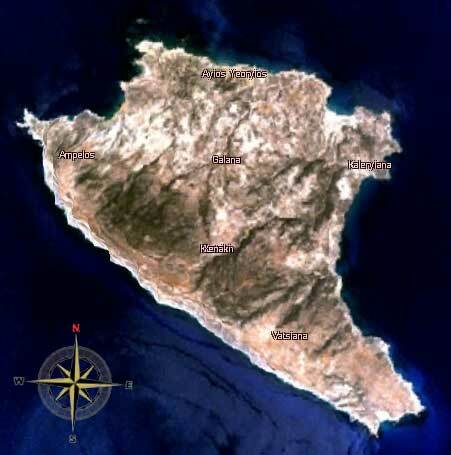 ^ a b c The Med's 'forgotten' island: It is hard to imagine a more spectacular edge of a continent, John Pickford, BBC News, January 24, 2008.